There’s a place below the Mason-Dixon Line, where box wine is served with aplomb, chicken + waffles = dinner, and beer is best served canned. And it’s about to land on Highland Avenue. 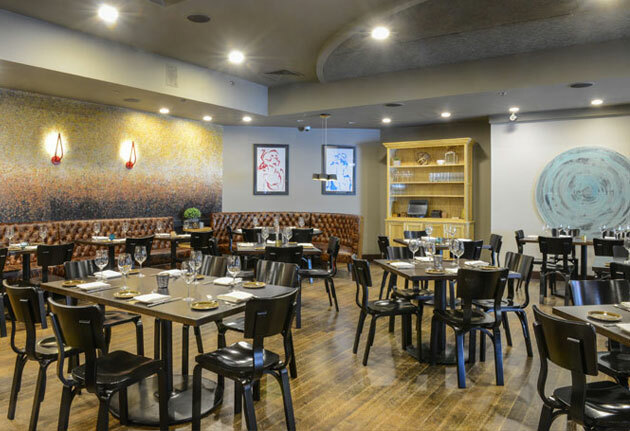 Meet M3, your new little slice of the Confederacy, slated to soft-open later this week in Somerville. Born from the mind of Jason Owens (Local 149), this is the kind of cozy, old-school diner you might find in a small town in the Deep South. Think: vintage swivel stools, chalkboard tables, a refrigerator from the 1940s and a pressed-tin ceiling. So once you and a few buddies have rolled in here, you’ll want to start off with a couple of their more than 20 canned beers (PBR, Miller, Schlitz). Then, move on to some Southern classics—dishes like country-fried steak, pan-fried catfish, duck-fat burgers and house-pickled fried okra. As things loosen up, you might even order a Beer Can Hen, cooked with a can of Porkslap Ale shoved into it so the beer steams into the meat. We’re pretty sure this is how Lynyrd Skynyrd celebrates Thanksgiving.